Their Royal Highnesses The Duke and Duchess of Cambridge again relied on a Twin Otter to get them to their destination yesterday. In 2011 they had flown from Yellowknife in an Air Tindi example. 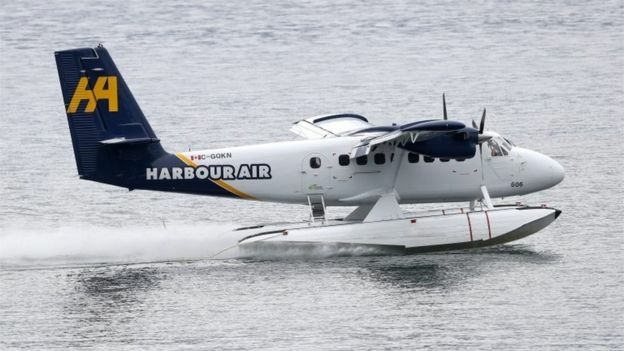 Yesterday the couple were transported harbour-to-harbour from Victoria to Vancouver aboard Harbour Air’s C-GQKN. This aircraft is an Ikhana 200HG™ model, which was originally delivered to Surinam in 1968 and arrived in Canada in 1979. 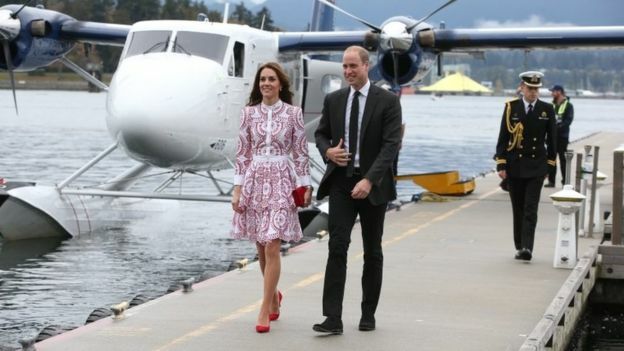 The Duke and Duchess of Cambridge have flown by seaplane to Vancouver on the latest leg of an eight-day Canada tour. 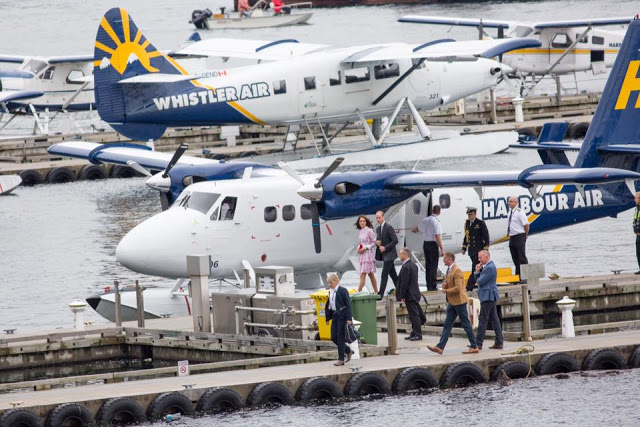 They made the 30-minute journey from Victoria in a Twin Otter aircraft and were greeted by thousands of people gathered on Vancouver’s waterfront. The duke and duchess later met refugees at an immigration center and went to the Kitsilano coastguard station. It is first time the Cambridges have toured as a family of four, with Prince George and Princess Charlotte. The royal couple were greeted on the harbourside by Canadian Prime Minister Justin Trudeau, before meeting well-wishers on a walkabout. He later paid tribute to the royal couple, saying they are “strong advocates” for young people, “whether it’s speaking out about cyber bullying, creating more opportunities for young people to lead in their community through sport coaching, or helping children and young people affected by addiction in their families”. He added that they “understand the need to support and encourage the world’s youth”. Leaving Victoria for Coal Harbour, in Vancouver, the duke and duchess were given earplugs for the flight because, although it is the easiest way to travel from Victoria to Vancouver, it is also the noisiest.